T293 is pleased to announce De Beauvoir Crescent, the first exhibition at the gallery of American artist Ethan Cook. 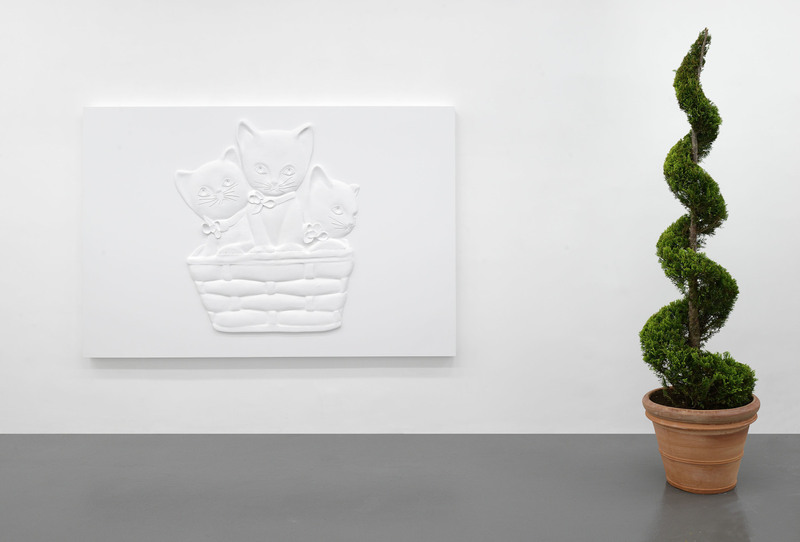 Taking its title from a street of East London where the artist collected the images depicted in the works, the exhibition combines organic sculptures with wall reliefs, exploring the relation between the object and its image, as between an idea and its formal representation. 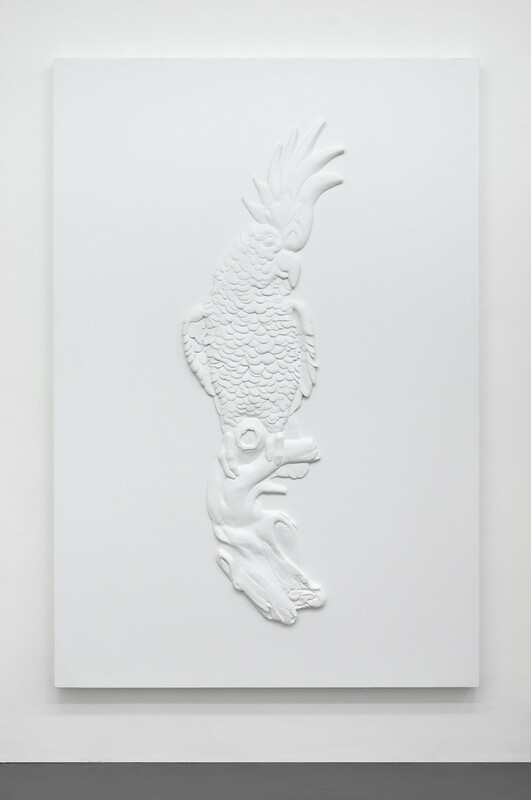 Large in scale, the five fiberglass reliefs in the show are the result of a new methodology of working. In the effort to investigate the relation between iconography and formalism, the playfulness of a parrot, the sacred monumentality of a statue of Mary, and the bold cheerfulness of a boy and girl playing and smiling have been photographed by the artist. 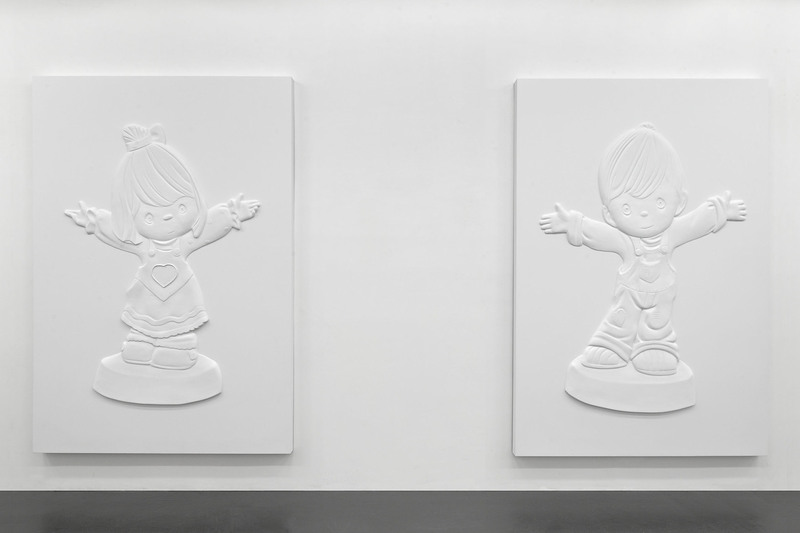 Scaled up to human size, and sculpted in relief out of high density urethane, clay and plaster, these original images are then bonded onto a proportionally sized panel, cast out of fiberglass and finally painted using a durable, cleanable white house paint. The white surface reduces the image to its primary form, deleting any excessive ornamentation. Their perspective is determined by the when and where the photographs have been shot. 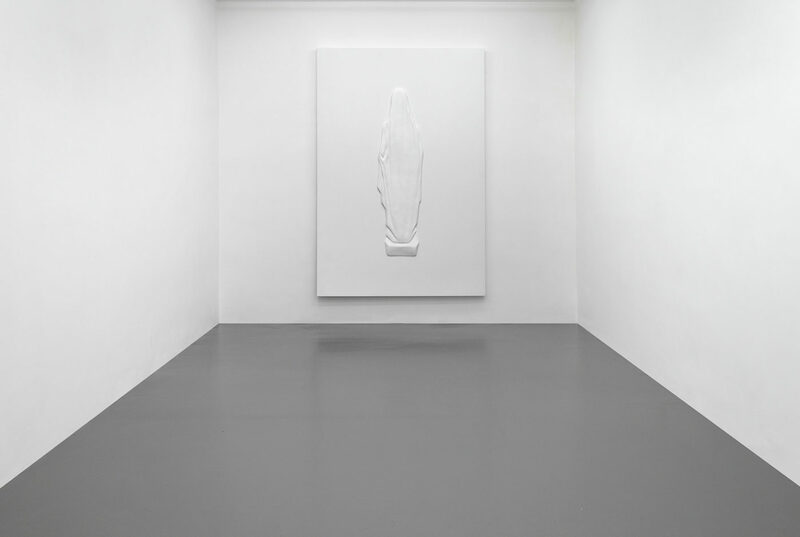 Through the use of reliefs mediated by photography, re-sculpting and molding, Cook reduces everything to pure symbol or readymade. 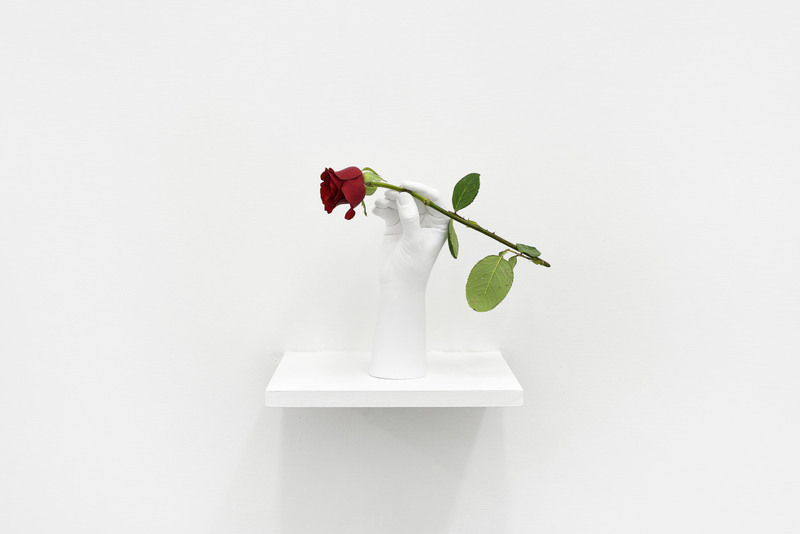 Exposing the representational or memorialising aspects of the image through the triviality of common objects, these pure forms of contemporary relics supersede the originality of their presence as physical objects, concrete images or cultural memes. 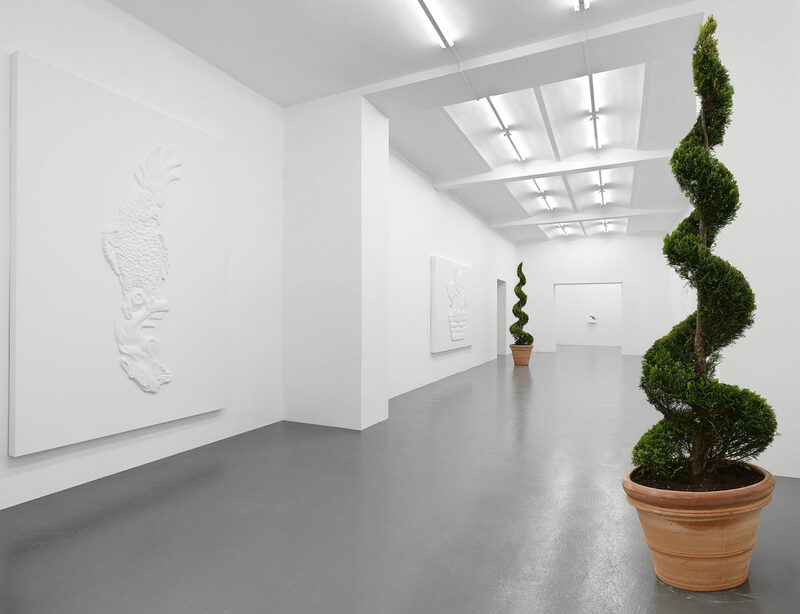 The memorializing aspect of the reliefs finds its counterpart in living topiary sculptures. 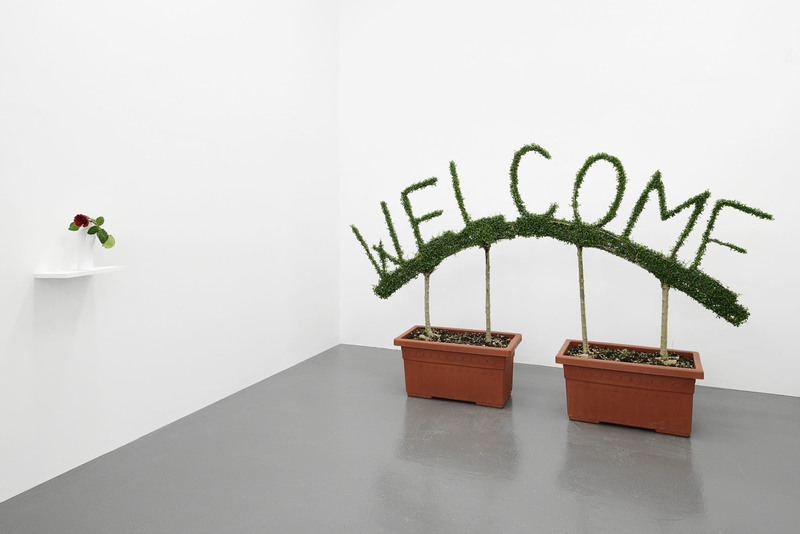 Acting as ushers of space, these plants speak about the domestic aspect of the show, as well as of the delicate nature of the living, images included. 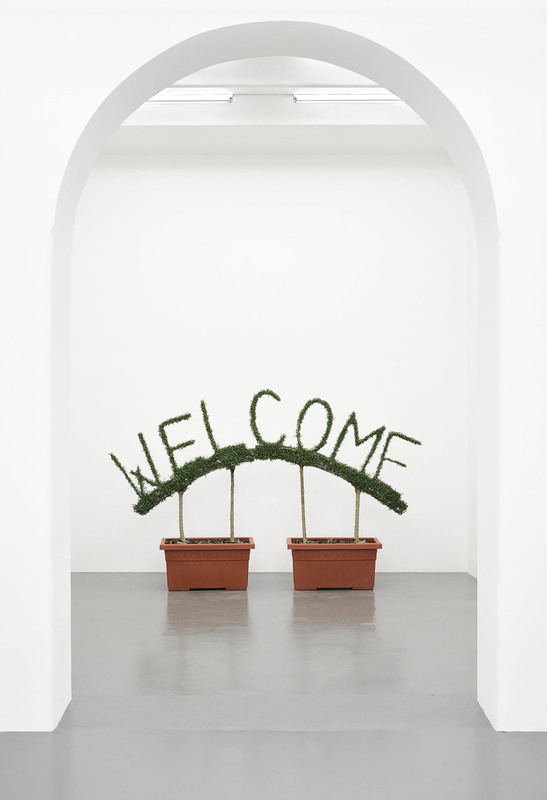 A Welcome topiary honors the presence of the viewer into this highly reflective exhibition, whilst two standard architectural cones contribute to the viewer’s formalisation of space. Inspiring a new, wider thinking on contemporary aesthetics, De Beauvoir Crescent exposes overarching cultural identity through often overlooked commercial symbology. 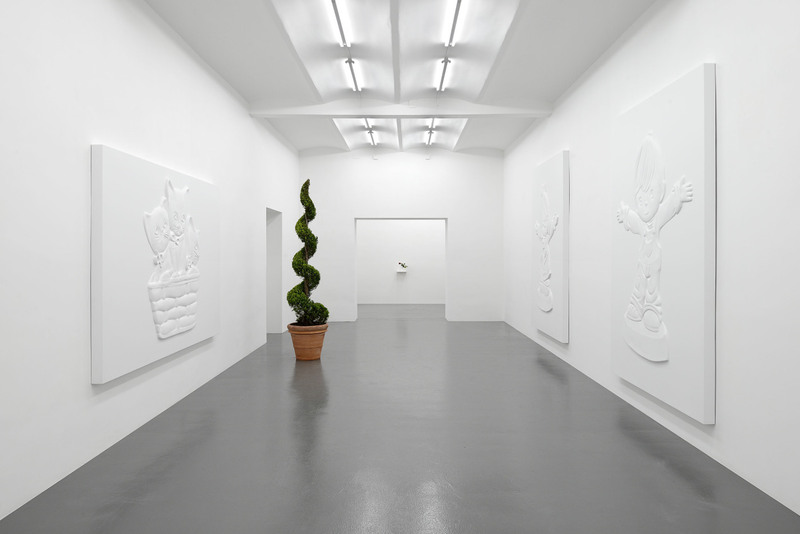 Disclosing the constantly evolving relation between reality and its representation, the exhibition configures itself as an embodied reflection upon the material decline inherent in mass production, and the seemingly correspondent loss of meaning and value of all its forms.